To view the products available for your vehicle select your make and model. Mobil's roots in Britain go back to 1885 when Vacuum Oil, a US company producing superior lubricating oil, opened a sales office in Liverpool. 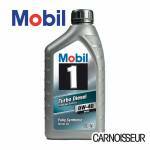 Whether you are looking for petrol or diesel engine oils, Mobil can be trusted to keep everything running smoothly. 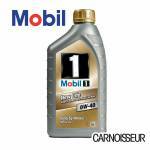 Carnoisseur are proud to offer a small range of Mobil products. The range is available online and from certain Carnoisseur Outlets that stock the selected range. At Carnoisseur we offer a huge range of car accessories including Alloy Wheels, Wheel Accessories, Suspension, Brakes, Exhausts, Air Filters, Engine & Tuning, Car Care, Exterior & Lighting, Interior, Electrical, Clothing, all at the very best prices. Copyright © Neville Crow 2019. Carnoisseur is a registered trademark property of Neville Crow.